Chiropractor to Cleveland Area Professional Athletes & You! On almost every major street corner in any Cleveland suburb you can a find chiropractor. When it comes to your back, neck, and joint pain do you really want to settle for just any chiropractor? Do you want to take a chance on common chiropractic care? Dr. Greg Kempf is the chiropractor for many Cleveland professional athletes. If the professionals trust Dr. Kempf with their back, neck, and joint injuries, why shouldn't you? Dr. Kempf is the staff chiropractor for the NFL Cleveland Browns, NBA Cleveland Cavaliers and Playhouse Theaters. He has treated athletes during the NCAA Basketball Tournament, US Figure Skating Championship and many performers and athletes visiting the Cleveland area. Dr. Kempf has been a guest lecturer at Baldwin-Wallace College and for the Cleveland Clinic Sports Medicine Conference. He is a member of the Professional Football Chiropractic Society as well as a N.A.E.T. 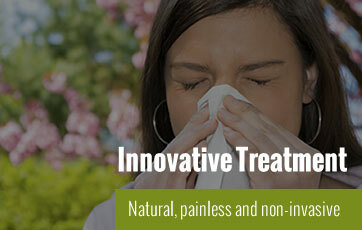 practitioner, using an innovative natural technique to treat patients with allergies. Dr. Kempf is a native Clevelander and has been in practice since 1994. He is a Graduate of Miami University and Palmer Chiropractic College.